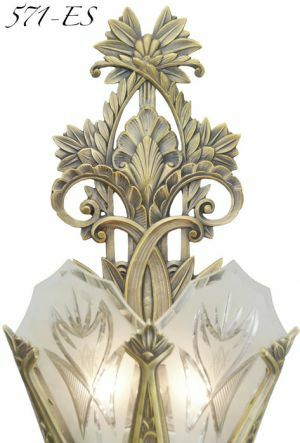 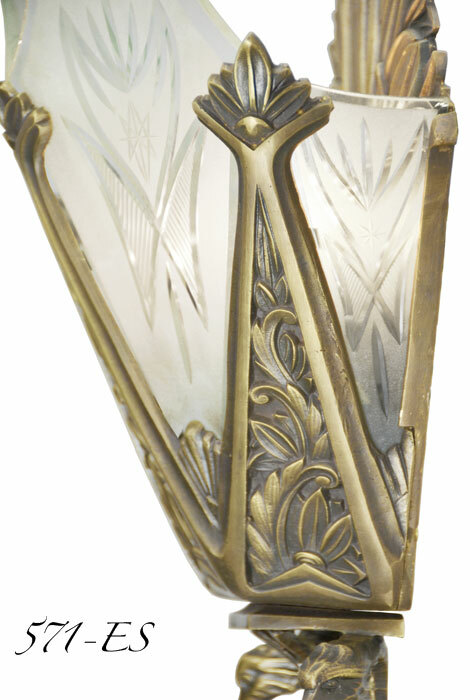 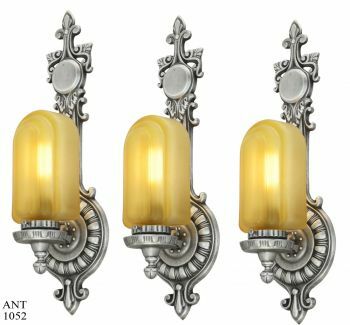 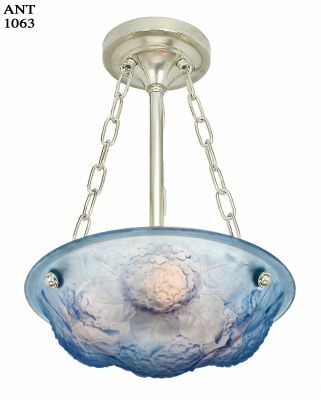 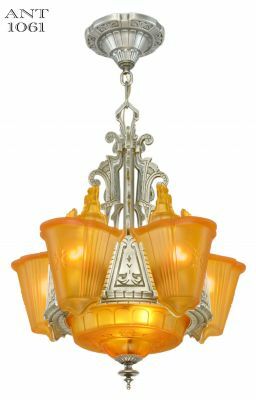 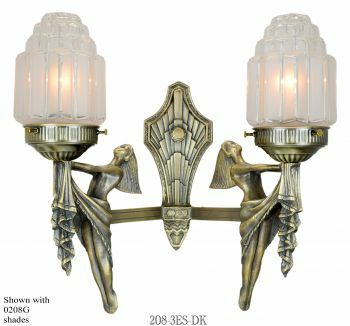 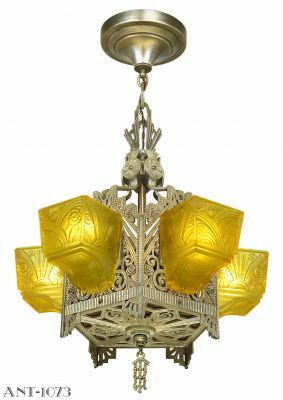 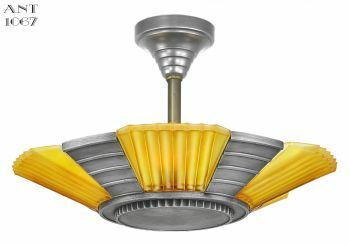 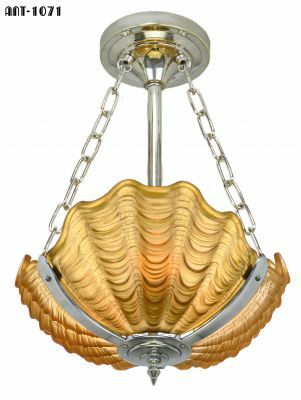 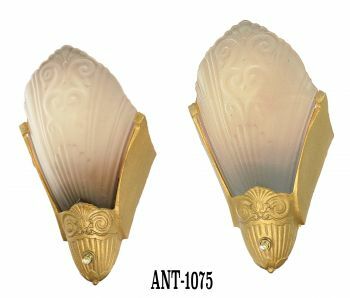 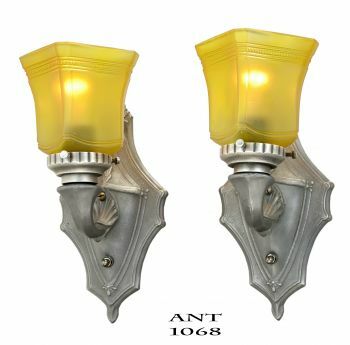 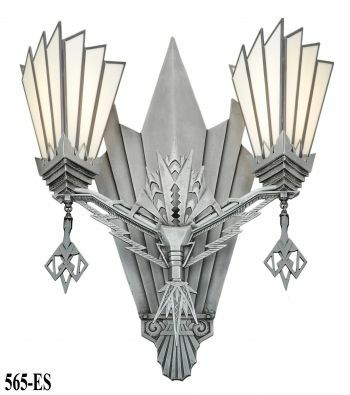 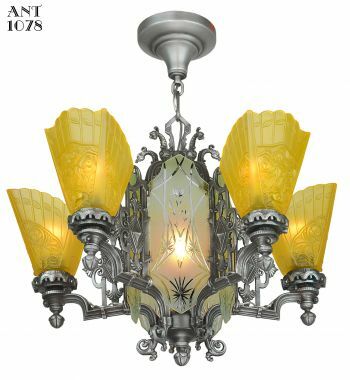 This is such a unique LARGE Art Deco Sconce...so out of the ordinary. Measurements: overall height is a large 26” tall. 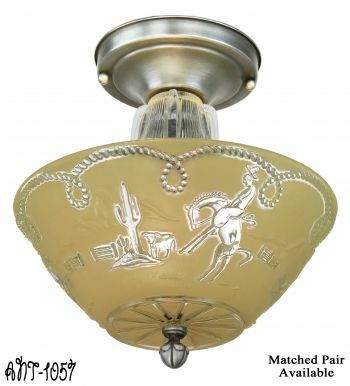 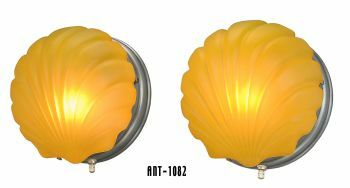 The backplate has a width of 9”, while the shade extends out to 10” in maximum width. 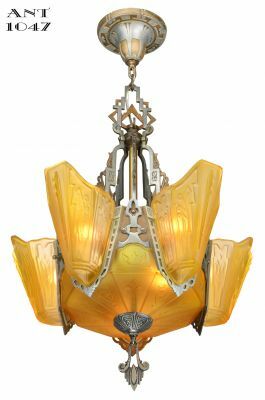 It projects into a room 5 1/8”. 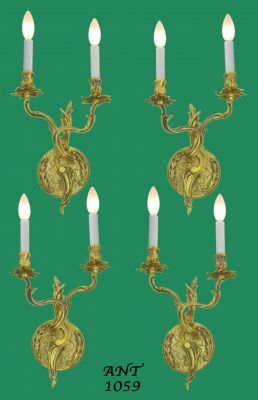 Solid brass, created by the Lost-Wax casting method giving such fine detal. 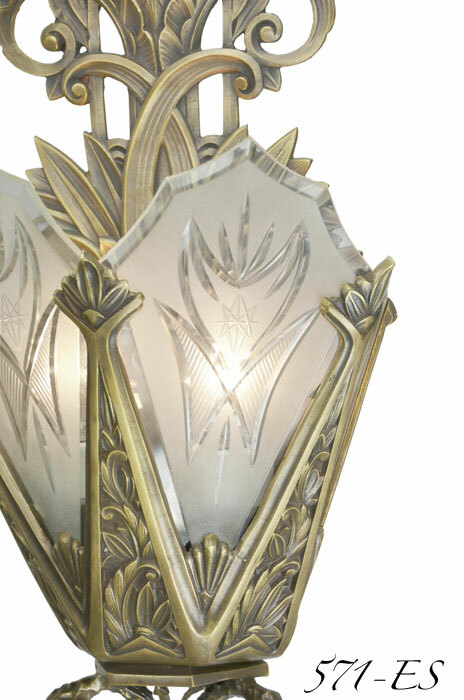 Then darkened and gently hand-finished to reveal the lighter points before adding a protective coat. The thick glass panel shades are hand cut, shaped with bevelled edges that just state super quality and “class-act”. 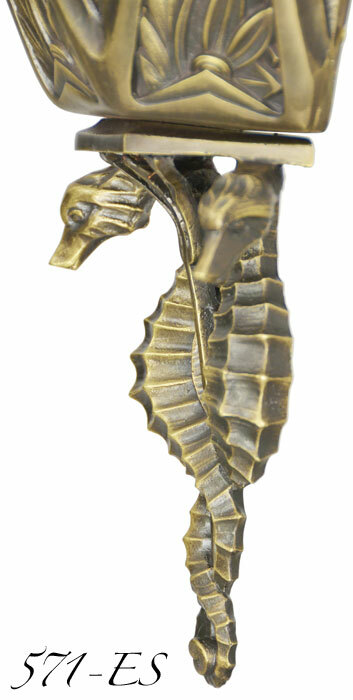 Every bit of each one is hand cut, hand bevelled and craft’s person created. 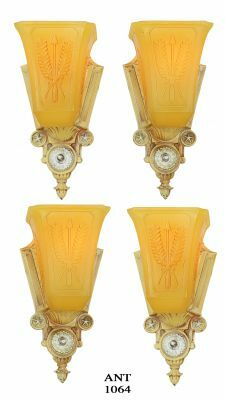 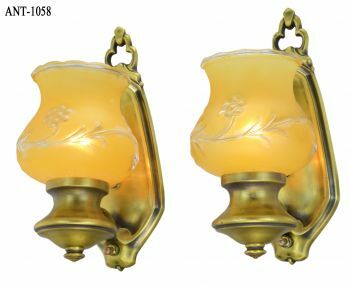 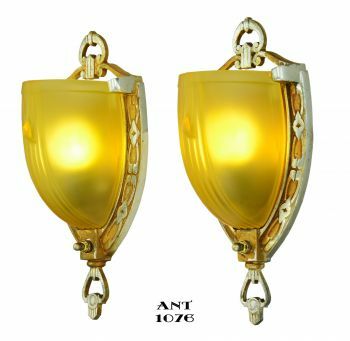 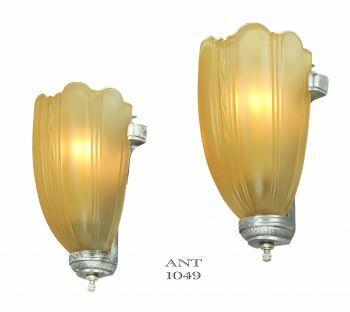 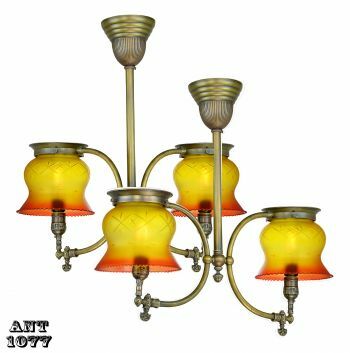 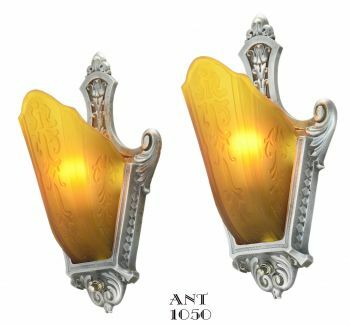 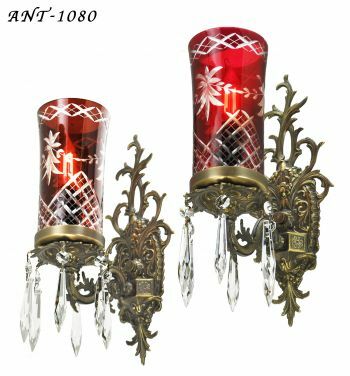 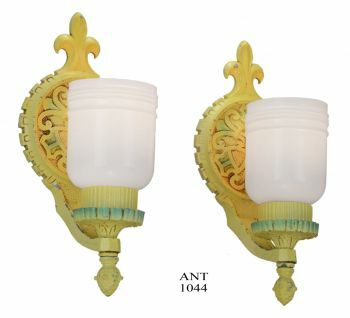 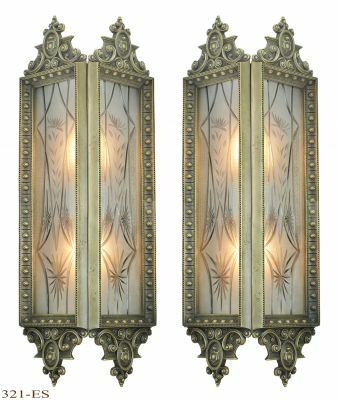 Our antique vendor said that this original antique sconce came from a Maserati Dealer that wanted to change their decor to a more modern motif. 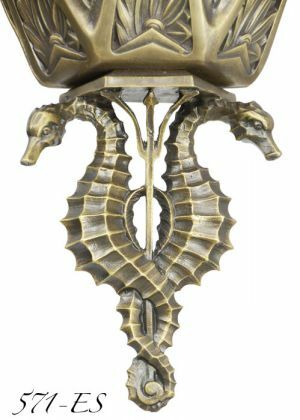 Looking at the symbol at the bottom of this sconce, it does remind one of the Maserati logo, but there are subtle differences too. So...the question remains whether this is what the vendor said...or...if it was simply a marine trident motif of Poseidon (Greek) or Neptune (Roman). 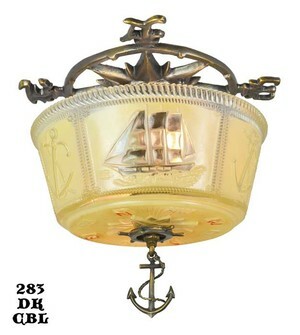 Regardless....the quality and decor are simply outrageous. 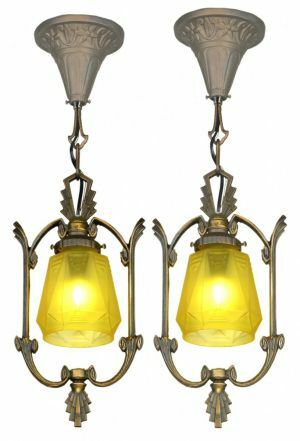 Lit by two normal medium based bulbs, we will be supplying an extension for each socket so the bulbs will align for the best balanced light. 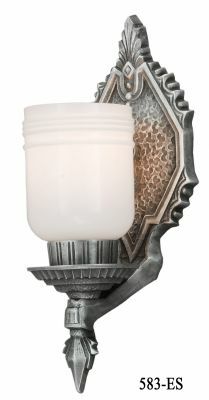 We mounted tube bulbs (T10’s without extensions) to illuminate the entire length of the shade and that looked nice...but finally decided to use our LED candle bulb with the extensions to place the light pattern in the center of the shade. 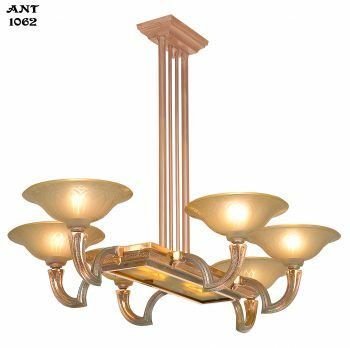 We will supply the extensions free and you decide how and what bulbs you wish to use. 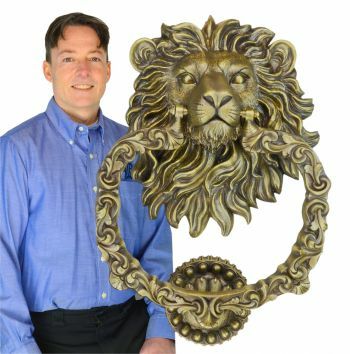 Price: $795.00 plus careful packing and shipping charges.